Well, 2009 was certainly a year to remember – for both good and bad reasons. Three of my stories were published, and my employer made me redundant. Some of my favourite authors had new books published, and I discovered some authors new to me and who I intend to continue reading. I saw some of my favourite bands in concert – some of them for the first time. And I watched a whole bunch of films – although only two of them at the cinema, and those I didn’t rate all that highly (for the record, they were Star Trek (see here) and Watchmen). Up to December 20, I’ve read 185 books in 2009 – down on last year’s total of 213. Admittedly, I did read less graphic novels this year (only 36, compared to last year’s 54). 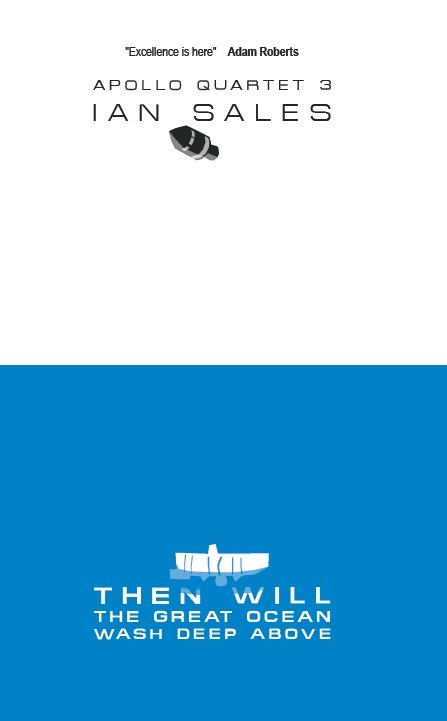 I might be getting a bit tired of the form – certainly, I went off a couple of superhero titles I’d previously enjoyed. Having said that, I did discover both Orbital and The Chimpanzee Complex, sf graphic novel series translated from the French and published by Cinebooks. They’re much more to my taste. I also read a number of novels by non-genre authors, more than I had done since leaving the Middle East and being reliant on a subscription library for reading material. The reading challenge this year proved educational, if not entirely entertaining. I reread books I remembered as good books from my early years as a fan of science fiction. While it gave me a chance to revisit sf novels I see quoted all over the tinterweb as “classics”, it did often seem I was poisoning my childhood memories of those books. Few of them I now remember as fondly as I had done before starting the reading challenge. 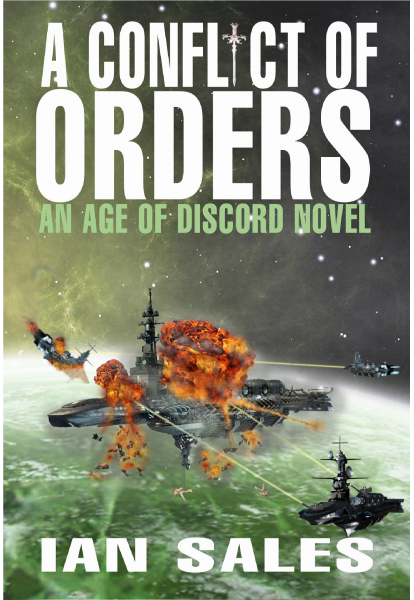 My actual reading broke down as 35% science fiction and 14% mainstream – plus assorted other genres. So just over a third of my reading this year was sf – compared to more than half last year. Admittedly at least half a dozen books I read I’ve classified as mainstream, because they were published as such and written by mainstream authors… even though they are sf novels. 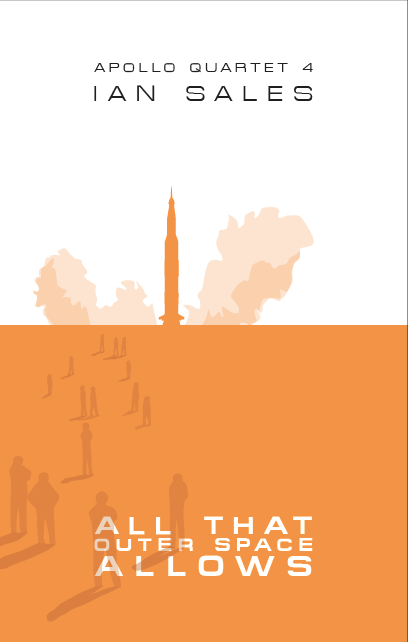 Books such as Never Let Me Go by Kazuo Ishiguro, Atomised by Michel Houellebecq, and… well, they all got honourable mentions so you can see the titles below. T he Caryatids, Bruce Sterling (2009). I’d planned on purchasing this but I was sent it to review by Interzone. I also had to interview Sterling. The results can be found in Interzone #221. Suffice it to say, The Caryatids is a return to form after the disappointing The Zenith Angle. In fact, it could be Sterling’s best book yet. 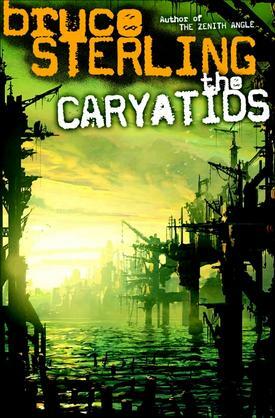 There are more ideas in The Caryatids than many sf authors have in their entire career. There’s also a great deal of relevance in it – something many sf authors never manage in any of their novels. 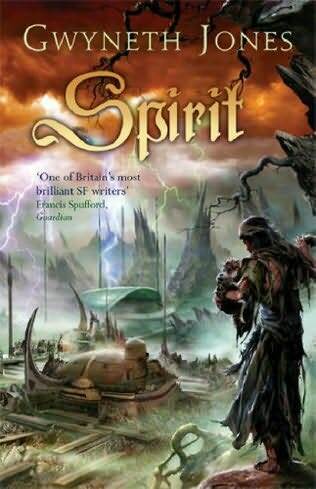 Spirit, or the Princess of Bois Dormant, Gwyneth Jones (2009). I admit I’m a fan of Jones’ writing, so it’s no surprise to find it was one of my best books of the year. 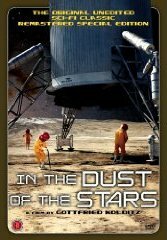 It’s a smart literary sf novel cunningly disguised as new space opera. I wrote about it here – and yes, that is a positive review. 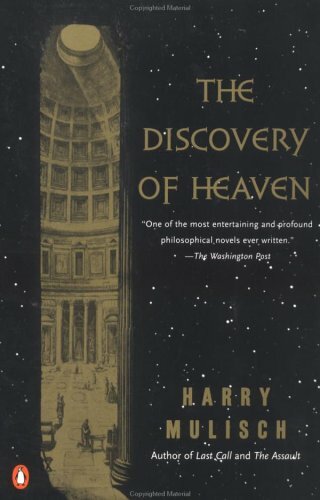 The Discovery of Heaven, Harry Mulisch (1992), I read after reviewing the film adaption for VideoVista (see here). A good film adaptation should, I think, encourage you to read the source novel, and that’s what this film did for me. The book proved to be just like the movie, but, well, more. Mulisch is one of the Netherlands’ big three post-war writers, and The Discovery of Heaven is his most popular and successful novel. It’s a long rambling story about the friendship between two men, about religion, about philosophy, about God’s compact with humanity… about a whole bunch of stuff, in fact. 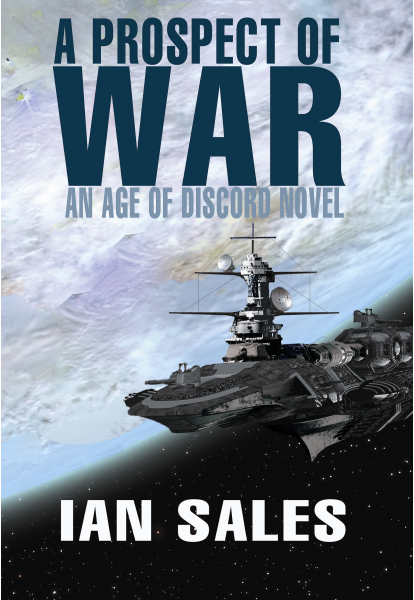 It is eminently readable, entertaining and thought-provoking. I lent my copy to a Dutch friend, who loves the book in Dutch but wanted to see how well it read in English. 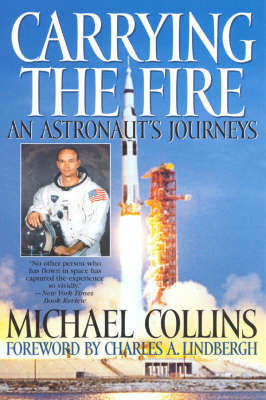 Carrying the Fire, Michael Collins (1974), was one of the books I read as part of my Apollo 40 celebration on my Space Books blog. 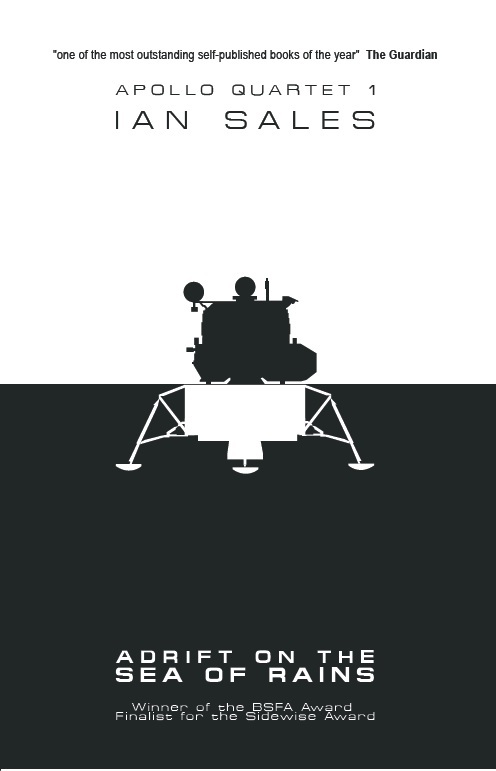 I’d been told by several people that Michael Collins’ autobiography was the best of the astronaut (auto)biographies. They were right. Collins’ prose is excellent. An insightful and well-written book. My review of it is here. 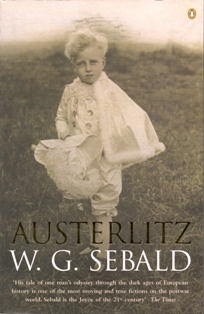 Austerlitz, WG Sebald (2001), was my first exposure to Sebald’s fiction, although I’d fancied trying one of his books for a year or so. Written without paragraph breaks, and with dialogue often reported at second or third hand, I’d suspected Austerlitz might be a difficult read. Instead it proved extremely readable, and I was much impressed. I will certainly be seeking out more of Sebald’s work. Honourable mentions this year go to… Atomised, Michel Houellebecq (well-written but bleak, wasn’t entirely convinced by the epilogue); Never Let Me Go, Kazuo Ishiguro (lovely prose, but a lack of confidence in the deployment of sf tropes); Journey into Space, Toby Litt (again, very nice prose, but somewhat old-fashioned as sf); The Handmaid’s Tale, Margaret Atwood (easily the most confident of the mainstream novels which are really sf that I read this year); The Hidden World, Paul Park (excellent end to a beautifully-written fantasy quartet which confounds genre expectations); Brain Thief, Alexander Jablokov (fine return to print after a ten year absence; tightly-plotted, oddball but likable characters; reviewed for Interzone #226); First on the Moon, the crew of Apollo 11 (has the most authority of any book on the first Lunar landing; review here); Cloud Atlas, David Mitchell (an interesting experiment that didn’t quite gel for me); and The History Man, Malcolm Bradbury (worth reading for the committee scene alone). All That Heaven Allows, dir. Douglas Sirk (1955). For the last couple of years I’ve been working my way through the Time Out Centenary Top 100 Film List. Some of the titles I expected to find impressive cinema. All That Heaven Allows wasn’t one of them. Rock Hudson and Jane Wyman… Nineteen-fifties US melodrama… Not much there, despite my love of Hitchcock’s films, that’s likely to appeal to me. Or so I thought. So I was somewhat surprised to discover that I loved it. I loved the look of the film, I loved its irony, I loved its subtlety. I loved it so much in fact, I went and bought the Directed by Douglas Sirk boxed set. 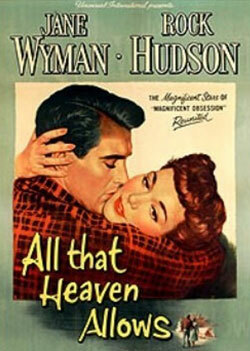 And most of the films in that set are nearly as good as All That Heaven Allows. Magnificent Obsession and Imitation of Life are close seconds; the rest occupy a respectable third place, although Written on the Wind is Dynasty dialled up to eleven and gets overwhelming after a bit. On the strength of this film, and the boxed set, Sirk has joined my favourite top five directors. Lady Chatterley, dir. Pascale Ferran (2006). 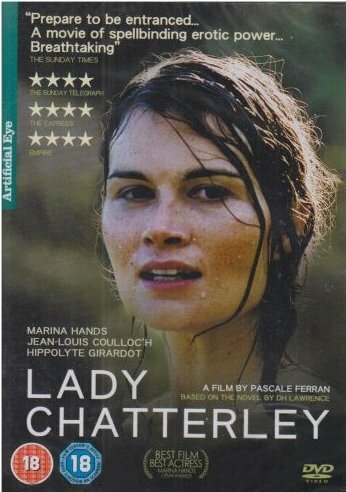 A French adaptation of DH Lawrence’s Lady Chatterley’s Lover. A faithful adaptation. Set in England. But in French. Right. It is not, on the face of it, something you’d expect to work especially well. And for the first half of the film, it does seem a somewhat typical languidly-paced French historical drama – although all the writing in the film, on shop-fronts and so on, in English adds a touch of strangeness. But there is a scene in Lady Chatterley, after Constance’s first sexual encounter with Mellors (Parkin in this film), in which she is walking through the woods, and the noises of the woods, bird-calls, etc, start to intrude, and then orchestral background music begins playing… and it completely transforms the film. You get a very real sense of Constance’s sexual awakening. And Ferran manages to maintain that mood for the rest of the film. Daratt, dir. Mahamat-Saleh Haroun (2006). I’d enjoyed Haroun’s previous film Abouna, enough to put this one on my rental list. I like world cinema, and while I don’t have any especial preference for one region over another I do have a soft spot for Arabic films. Haroun, however, is Chadian. Which is sort of nearly but not quite Maghrebi. 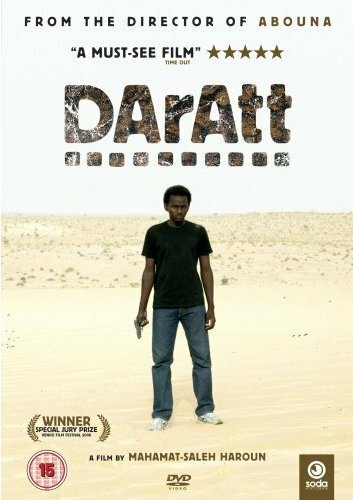 Anyway, Daratt proved to be a better film than Abouna. It’s a slow-burner – sixteen-year-old Atim heads for the capital, N’Djamena, to kill Nassara, the man who murdered his father during the recently-ended civil war. Unable to kill Nassara when he meets him, Atim hides his purpose and accepts a position helping Nassara in his one-man bakery. As he gets to know Nassara, so he finds it harder to take his revenge… A powerful film. The Yacoubian Building, dir. Marwan Hamed (2006). There are some films you watch because you suspect they will be “good” without actually being very entertaining. 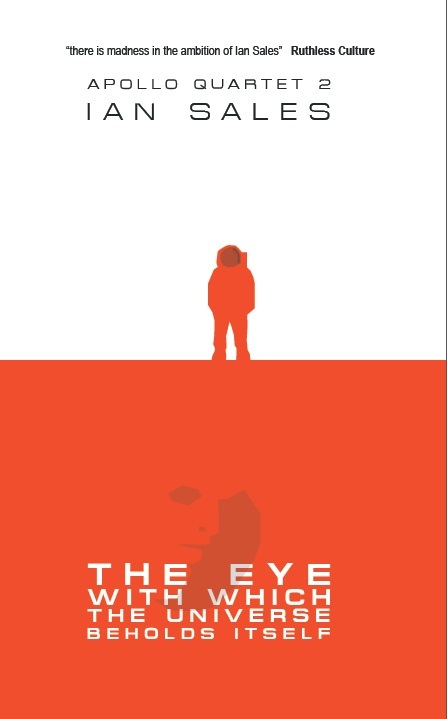 I was aware of Alaa Al-Aswani’s novel of the same title, and I had a vague intention to read it one of these days, as I do enjoy Arabic fiction. Which was one of the reasons I rented this film. And… it was not at all what I was expecting. Its story is painted on a much bigger canvas and covers much greater topics than I’d expected – the clash between democracy and Islamism, women’s roles in Egyptian society, homosexuality, government corruption… I’ve seen a few Egyptian films before, and most of them are over-acted, over-played soap operas or comedies. But The Yacoubian Building is well-shot and well-acted. Now I definitely want to read the book. In the Dust of the Stars, dir. Gottfried Kolditz (1976), is one of four films produced by East German studio DEFA during the 1960s and 1970s. Of the four, three are available in the DEFA Sci-Fi Collection – the earlier Der Schweigende Stern (1960, The Silent Star (AKA First Spaceship on Venus)), Eolomea (1972) and Im Staub der Sterne (AKA In the Dust of the Stars). Another, Signale – Ein Weltraumabenteuer (1970, Signals: A Space Adventure), is not yet available on DVD (I want a copy, of course). A spaceship from Cynro lands on the world of Tem in answer to a call for help. The Temians treat the Cynro crew to a party – which has to be seen to be believed – and insist nothing is wrong. But one of the Cynro cosmonauts is suspicious, and discovers the secret of Tem. The production design is sort of 1970s television sf, but bizarrely different. The plot is more science-fictional than most Hollywood films manage, but it still feels weirdly off-kilter. I thought it was great. 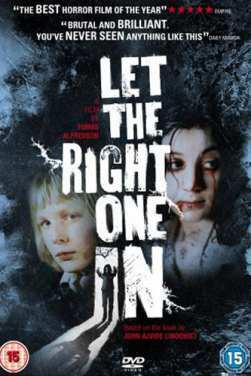 Let The Right One In, dir. Tomas Alfredson (2008). I feel like I ought to have at least one recent film in my top five, but – what a surprise – it’s not a Hollywood film. Since it’s Swedish, I suppose it qualifies as “world cinema”, although it’s actually a horror film and was marketed as such. It’s an adaptation of the novel Låt den rätte komma in by John Ajvide Lindqvist, a vampire novel. I’m not a big fan of vampire films, and especially not of the Anne Rice doomed romantic hero school of vampire rehabilitation. The vampire in Let The Right One In may resemble a twelve-year-old girl, but she’s a scary predator all the same. The film never lets you forget it. The ending is perhaps a bit obvious, but the journey there certainly isn’t. Honourable mentions? Well, the rest of the Directed by Douglas Sirk boxed set for a start. But also: The Baader-Meinhof Complex (perhaps makes the eponymous group a little too sympathetic, ); WALL-E (great first half, rubbish second half); The Piano Teacher (the best of the films in the The Michael Haneke Collection, although all are excellent); Robinson Crusoe on Mars (makes a surprisingly good fist of the story… for most of its length, anyway); The Sheltering Sky (made me want to read the book; which is now on the TBR pile); and the contents of boxed sets by François Ozon (not to mention the supreme silliness that is his Angel) and Lukas Moodysson. A tricky one this. Only a few of my favourite bands had new albums out in 2009. However, I did discover some new bands, so that’s all right. I attended eleven gigs, so I didn’t quite make the gig a month average. I didn’t make it to Bloodstock this year – the line-up didn’t interest me… although at the last minute they went and added half a dozen bands I would have liked to have seen. Ah well. Maybe next year. I did attend one festival, however – Damnation, at the Leeds University Student Union. Where I got to see some great bands – Anathema, Mithras and Akercocke. 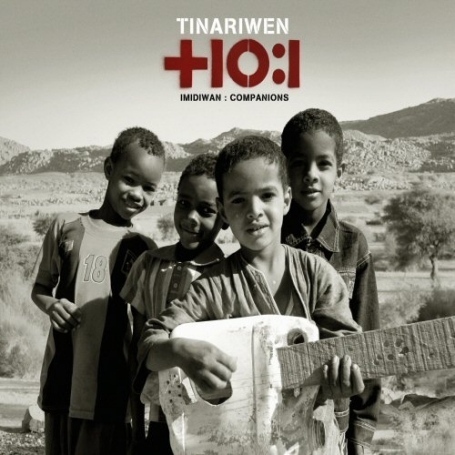 Imidiwan: Companions, Tinariwen (2009). I’ve liked Tinariwen’s music since seeing them on a documentary about the Desert Festival six or seven years ago. This year I got to see them live for the first time. They were excellent. As is their new album, Imidiwan: Companions. Stand-out track is the heavy bluesy ‘Tenhert’. 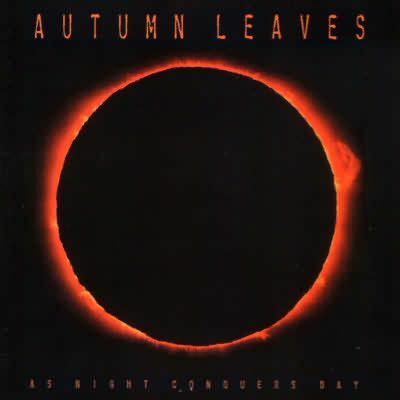 As Night Conquers Day, Autumn Leaves (1999). Autumn Leaves, despite their name, are a death metal band. From Denmark. They formed in 1993, but split in 2001 after releasing two albums. As Night Conquers Day is the second of those albums. It’s progressive death metal, but also quite melodic. I’ve been playing it a lot. Lexicon V, DesolatioN (2007). I’ve had a sample track from DesolatioN’s Lexicon V for a while, but I’d not listened to it much. Then this year I replaced my 4 GB Samsung Yeep with a 120 GB iPod… which meant I could carry my entire MP3 collection about with me. Including that DesolatioN track. And it kept on popping up when I set the iPod on shuffle, and I started to really like it. So I bought the album (from here). And it’s bloody good. It’s a mix of death and progressive metal – as opposed to progressive death metal – and it works really well. It’s been getting lots of plays. 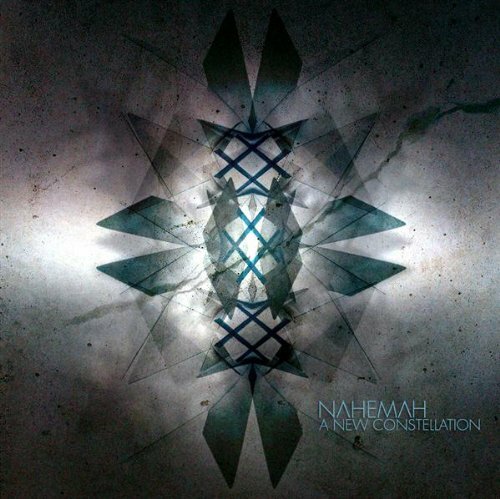 A New Constellation, NahemaH (2009). Unlike their previous album, The Second Philosophy, NahemaH’s A New Constellation was not a “grower”. I was already a fan of their music, so I loved this from the first listen. Great metal soundscapes, with melodies buried in them – predominantly progressive death metal, but there are other genres in there too. Good music to work too, and good music to just lose yourself in as well. 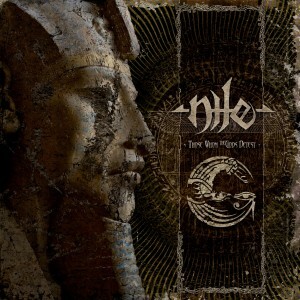 Those Whom The Gods Detest, Nile (2009). Each time Nile bring out a new album, I buy the limited edition . For Annihilation of the Wicked (2005), it was a collectible tin. For Ithyphallic (2007), it was a pyramid some ten inches high. And for this year’s Those Whom The Gods Detest it’s a seventeen-inch-long sarcophagus. Musically, there’s no mistaking Those Whom The Gods Detest as anything but a Nile album, but it also seems a more varied, and yet more coherent, album than the last two. One of my favourite Nile tracks is ‘Wrought’ from their first EP, Festivals of Atonement. Those Whom The Gods Detest reminds me a lot of that track. Honourable mentions this year: Across The Dark, Insomnium (new album by Finnish death/doom stalwarts; not as good as the preceding Above the Weeping World, but a good album nonetheless); Shin-Ken, Persefone (another excellent concept album, of sorts, by Andorran – yes, from Andorra – progressive death metallers); Anno Domini: High Definition, Riverside (Polish progressive rock band, who get better with each new album); and Metamorphosis, Magenta (a band new to me in 2009, discovered at the Classic Rock Society’s Best of the Year Awards in January – they performed live, and then won Best Band – this is polished modern prog rock). Categories: 2009 roundup | Permalink. 185 books this year?!? Down from 215 last year?!? How do you find the time? I’ve read 52 and that’s good by my standards. If I tried to read many more, I think my wife would divorce me! Good overview, Monsieur Sales, and like your previous correspondent I can only tip my hat in sheer respect at the number of books you’ve managed to devour this year. I hope you will continue to draw our attention to the writers, books, films and musicians you discover in your strange, errant journey. Your aesthetic is wide-ranging and your critiques the equivalent of the good old “short, sharp shock”. Much as I love Tinariwen, their album wasn’t the best I heard from that part of Africa this year.